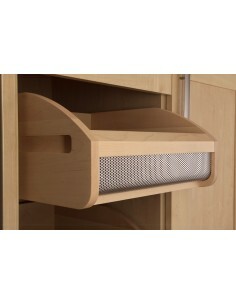 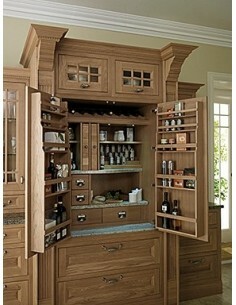 Kitchen larders are very popular in today's practical kitchens. 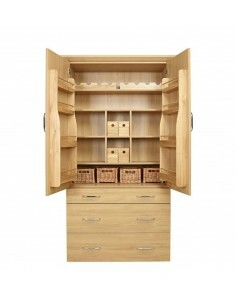 When quality premium materials are required, oak is a rustic choice offering a quality, stylish option. 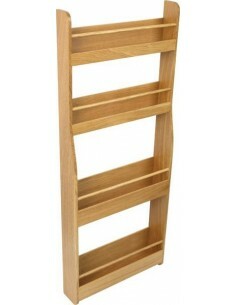 Here we have a selection of wooden accessories to include oak bottle racks, wicker baskets, boxes along with oak full pantry sets. 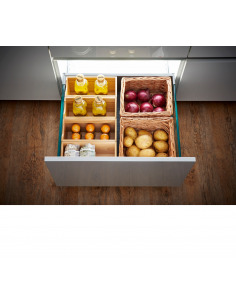 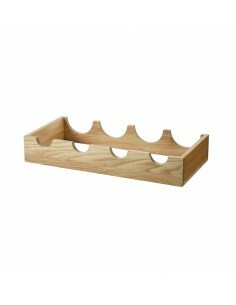 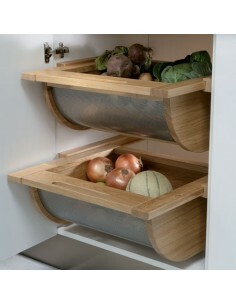 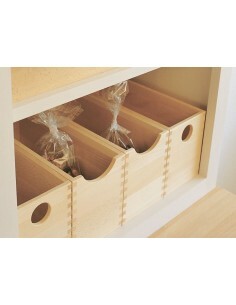 Oak cutlery trays, plate stacks and knife blocks are also shown for drawer units. 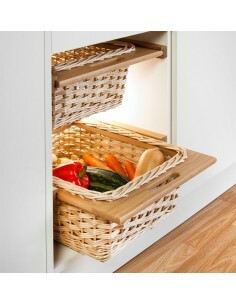 Ideal Spice, Plate Or Bottle Space. 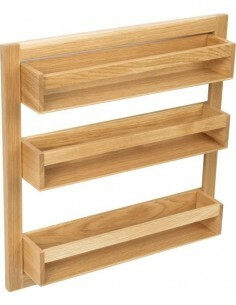 1050mm High x 354mm Width x 106mm Depth, Includes Five Shelves.